First, the apostles were continually threatened and pressured to deny their Lord during their ministry; especially as they faced torture and martyrdom. However, none of these men who spent time with Jesus chose to save their lives by denying their faith in Him. Consider this hypothetical situation: Suppose these men had conspired to form a new religion based on their imagination. How long would anyone continue to proclaim something they knew was a lie when faced with lengthy tortures and an inescapable, painful death? All they had to do to escape martyrdom was to admit they had concocted a lie and simply deny their faith and claims about Jesus as God. It defies both common sense and the evidence of history that anyone, let alone a group of twelve men, would persist in proclaiming a lie when they could walk away by admitting that it was a fraud. Yet, history reveals that not one of these men, who knew Jesus personally, ever denied their testimony about Him despite the threat and reality of imminent death. This proves to any fair-minded observer that these men possessed an absolute unshakable personal knowledge about the truth of the life, death, and resurrection of Jesus. Each of the apostles were called upon to pay the ultimate price to prove their faith in Jesus, affirming with their life's blood that Jesus was the true Messiah, the Son of God, and the only hope of salvation for a sinful humanity. Most of our information about the deaths of the apostles is derived from early church traditions. While tradition is unreliable as to small details, it very seldom contains outright inventions. Eusebius, the most important of the early church historians wrote his history of the early church in A.D. 325. He wrote, "The apostles and disciples of the Savior scattered over the whole world, preached the Gospel everywhere." 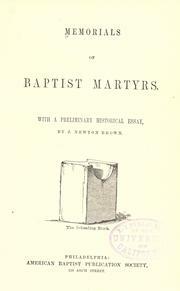 The Church historian Schumacher researched the lives of the apostles and recounted the history of their martyrdoms. Luke was hanged by idolatrous priests on an olive tree in Greece as a result of his tremendous preaching to the lost. Peter was crucified upside down on an x-shaped cross because he told his tormentors that he felt unworthy to die in the same way that Jesus Christ was crucified. James the Just, the leader of the church in Jerusalem, was thrown over a hundred feet down from the southeast pinnacle of the Temple when he refused to deny his faith in Christ. 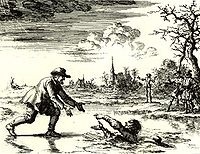 When they discovered that he survived the fall, his enemies beat James to death with a fuller's club. This was the same pinnacle where Jesus went to during his Temptation. Thomas was stabbed with a spear (lance) in India during one of his missionary trips to establish the church in the subcontinent. Paul was tortured and then beheaded by the evil Emperor Nero in Rome in A.D. 67. Paul endured a lengthy imprisonment which allowed him to write his many epistles to the churches he had formed throughout the Roman Empire. These letters, which taught many of the foundational doctrines of Christianity, form a large portion of the New Testament. The details of the martyrdoms of the disciples and apostles are found in traditional early church sources. These traditions were recounted in the writings of the church fathers and the first official church history written by the historian Eusebius in A.D. 325. Although we can not at this time verify every detail historically, the universal belief of the early Christian writers was that each of the apostles had faced martyrdom faithfully without denying their faith in the resurrection of Jesus Christ. THE APOSTLES DEATHS PROVE THEY BELIEVED IN THE RESURRECTION! 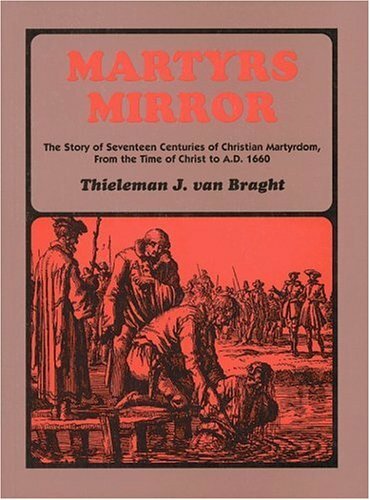 Recommended Resource: Foxe's Book of Martyrs by John Foxe. But he that endureth to the end shall be saved." "The tyrant dies and his rule ends, the martyr die and his rule begins." "No makes us afraid or leads us into captivity as we have set our faith on Jesus. For though we are beheaded, and crucified, and exposed to beasts and chains and fire and all other forms of torture. "It is plain that we do not forsake the confession of our faith, but the more things of this kind which happen to us, the more are there others who become believers and truly religious through the name of Jesus Christ." Through out the years there have been countless individuals who have given their lives in the name of Jesus Christ. With this page I will attempt to list and provide information on some of them. Christian martyrs suffered persecution for their faith simply because they were children of God who were totally devoted towards the teachings of Jesus Christ and His cause that dealt with the salvation and redemption of humanity. You must understand, that the children of the world hated the children of God; and will do anything in their power to discourage, or even kill those individuals, who will not bow down, or compromise their beliefs. Because of their stance and their willingness not to compromise, when it comes to their beliefs; Christian martyrs have been imprisoned, unjustly condemned, falsely accused, ridiculed, scorned, crucified and murdered for standing up for their Christian faith and beliefs. We must also understand that the children of the world have a malicious, spiteful and envious spirits when it comes to people who follow the teachings of Jesus Christ. For the children of the world, are totally devoted to the wickedness and corruption that are found to be in it; and the temporal and material things that come from it. "If the world hates you, keep in mind that it hated me first. If you belonged to the world, it would love you as it own. As it is, you do not belong to the world, but I have chosen you out of the world. That is why the world hates you. Remember the words I spoke to you: 'No servant is greater than his master.' If they persecuted me, they will persecute you also. They will treat you this way because of my name, for they do not know the One who sent me." Types of torture, martyrdom our ancesters suffered. Hearts pulled out, which the papists gnawed with their teeth. 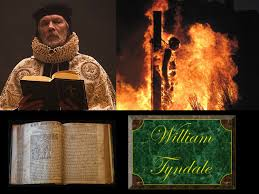 Some had boots of boiling oil put on their legs over a small fire. James the Great (Son of Zebedee) was beheaded in 44 AD. Philip the Apostle was crucified in 54 AD. Matthew the Evangelist killed with a halberd in 60 AD. 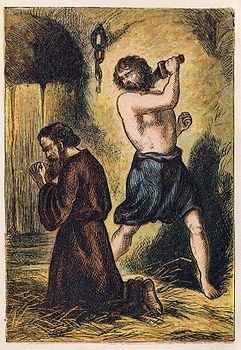 Apostle Paul, beheaded in Rome. Saint Bartholomew flayed alive and crucified. Thomas the Apostle was killed by a spear in Mylapore, Madras, India in AD 72. Luke the Evangelist was hanged. Simon the Zealot was crucified in 74 AD. Antipas of Pergamum, according to tradition, roasted to death in a brazen bull during the persecutions of EmperorDomitian, c. 92 A. D.
Ignatius of Antioch in 107 AD. Justin Martyr of Palestine in 165 AD. 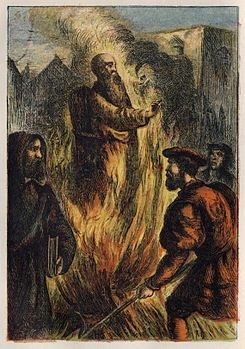 Polycarp of Smyrna, probably around 160 AD. 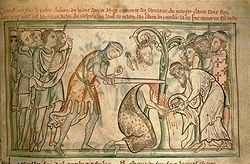 Saint Alban, Britain in c.283 AD. Forty Martyrs of Sebaste, died in what is now Armenia under the Roman Imperial persecutions of 320 AD.